Whenever you open or close the door, check to ensure it moves smoothly and relatively silently. Scraping noises, jerky or uneven movement may signal the need for cleaning tracks and lubricating moving parts. If defective springs, cables or pulleys need replacing an NJ garage door technician should be called. 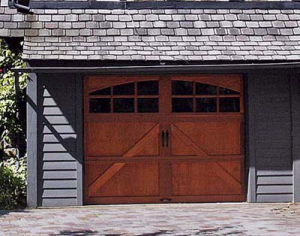 Check out the garage door exterior surfaces for chipped paint, dings, scratches and dents. Wooden doors may have started to warp, split or rot. Prompt repair will prevent the problems worsening. Often it will simply involve paint or stain retouch; more than that is a job for garage door technicians. Many problems with opening or closing of garage doors can be traced to dirt and debris on the tracks. Cleaning of the door tracks can prevent greater damage which may lead to many urgent calls for garage door repairmen. In fact many members of the Window and Door Manufacturer’s Association recommend cleaning garage door tracks at regular intervals. Make sure the garage door springs are adjusted properly. Improper spring adjustment will cause the door to be unbalanced causing undue strain on your opener’s motor. With the opener disconnected (pulling a red release handle usually does this), open the door halfway up. If it does not stay put, the counterweight springs are not balanced and you should call a garage door repair technician. Repeated opening and closing of garage doors will loosen some brackets, nuts and bolts over time. It is easy enough to tighten loose parts with a socket wrench. Lubricate the opener’s chain or screw using white lithium grease. The overhead springs can be oiled using a spray type lubricant. Lubrication is recommended at least once a year. Time and exposure will cause the weather strips on the bottom of the garage door to go brittle and crack. Timely repairs (which you can easily do yourself) will save your garage from exposure to the elements. Many types of weather stripping are usually sold at most hardware stores. Buy the same type as those installed in your door, remove the damaged stripping, cut to size and insert the new one on the groove. Check for chipped or damaged rollers. So long as rollers are not directly attached to the cable system, you can easily replace by removing and reinstalling their brackets. If you see any damaged cables, call an experienced garage door repairman. Having said all that, it is important for the homeowner to only do preventive maintenance and very minor repairs on their garage doors; anything else should only be entrusted to qualified technicians. Almost all people have had to deal with clogged toilets at one time or another. When that happens it should not always lead to a call for drain cleaning Toronto plumbers provide – in many cases DIY takes care of the problem just fine. With a little practice, the right technique, and a few tools the drain cleaning Toronto residents need to get their toilets flowing freely can be achieved. Pour about a cup of powder detergent in the toilet bowl. Add about a teapot full of boiling water. Let the heated water and detergent mixture soak in the bowl for at least ten minutes. This should give the detergent time to clean the drain pipe section underneath the toilet bowl. After the soak you can try flushing with either cold or boiling water if the clog seems particularly stubborn. Make sure you wear rubber gloves, have old rags nearby, and a good disinfectant. Fit the plunger over the toilet drain to ensure a tight fit. 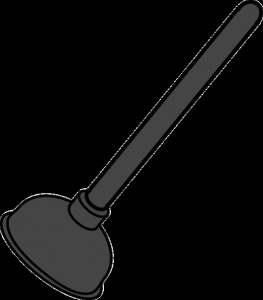 Gently push the plunger in to remove all air and push the water down the toilet drain. The first push should be a gentle one – otherwise you are bound to splash dirty water on yourself and all over the bathroom floor. Plunge vigorously in and out while keeping the seal tight, in effect alternately using pressure and vacuum to move water in and out of the drain pipe. This is effective in loosening clogs. Continue doing this till the water in the bowl disappears down the drain pipe. Occasionally pour more water in the bowl to keep the plunger covered and maintain the seal. Then you can test the toilet for drainage. Rotate the drain snake clockwise as you push it into the drain pipe. You will feel a solid resistance whenever your snake wire has to pass through bends. As you push the drain snake in, try to feel for a type of resistance with a slight give – that is the article blocking your toilet drain. To clear the toilet drain, you need to use the auger at the end of the drain snake to break up the clog into small pieces or fish it out. Gently pull the drain snake out so that the hooked debris does not fall back into the pipe. That should clear all but the most stubborn blocks. If even a drain snake fails to clear the toilet drain, contact an organization such as the Plumber’s Residential Council Ontario and ask for the name of a good Toronto plumber. When people buy upholstered products like sofas, pillows and cushions, they all want the best quality. But how do most people determine if the upholstered product they are looking at has the good quality they are looking for? Well most just go by the way the sofa, or cushion feels. Is it soft enough? Does it have the firmness required to bounce back into shape after use? Does the upholstery feel right – whatever they may mean by feeling right. But high quality upholstery requires more than that. To make high quality upholstered products you need skilled people; this is a must not only in the upholstery industry but in everything else. To this end many upholstery professionals have banded themselves into organizations such as the Upholsterer’s Association of North America to push each other to further improve their craft. The workmanship of professionals can be seen externally through the seams of the upholstery, its smoothness, softness and resiliency. 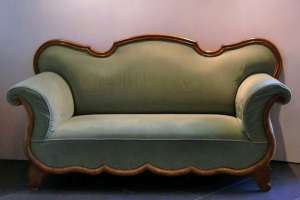 If you see lumps, uneven consistency, and burst seams, you can be sure that the upholstery was not made by an experienced professional. High quality upholstery needs to be made of good quality materials. From the outside all the buyer may be able to see are the upholstery covers, but in some cases that is sufficient indication of quality; in most cases though, the buyer needs to ask what is behind the upholstery cover. For truly high quality upholstery everything inside from the webbing, springs if any, backing material, and fillers have to be of good quality. While it is easy to get good quality materials for the filling, some upholstery still do not have one of the essentials; a good Dacron wrap. For a great selection of Dacron material, visit www.roncofurniture.net. Though other materials may be used for wrapping, such as low density foam, cotton, and many others, Dacron is the best padding available. But what is Dacron and what makes them so essential to a good upholstery job? Dacron is a polyester fiber that is known by many names in the upholstery industry, such as: Kodel, Terylene, Poly wrap, Cushion wrap, Fiberfill, Holfil, or simply polyester. It is available in varied qualities to suit different requirements. Some have their resins and hardeners removed from the final product to allow a softer, smoother and more consistent feel. Others contain resins and hardeners; these are slightly rougher to the touch, but drain a lot faster and are indicated for use on outdoor upholstered items. Dacron wrap for foam cushions give them smoother edges and a more consistently soft feel. Since they do not compress, Dacron wrapping evens out slight imperfections in the inner fill material, usually cut foam, and always bounces back to shape. Where Dacron is used to wrap underlying foam or other types of filling, there would be no lumps on the finished product. Dacron also resists mold, mildew and parasites; it does not contain anything that would host these undesirable infestations. What is more, proper Dacron covering ensures that the upholstery cover does not touch any hard furniture frame, making the upholstery more durable. So if you need new furniture or are looking to have old furniture repaired, make sure the upholstery contains Dacron wrapping. It would last longer that way.